Recognition of the role of sustainable forestry by the CAP will contribute to its common objectives, such as developing vibrant rural areas, while contributing to climate action and responding to the adaptation needs for climate-resilient landscapes. 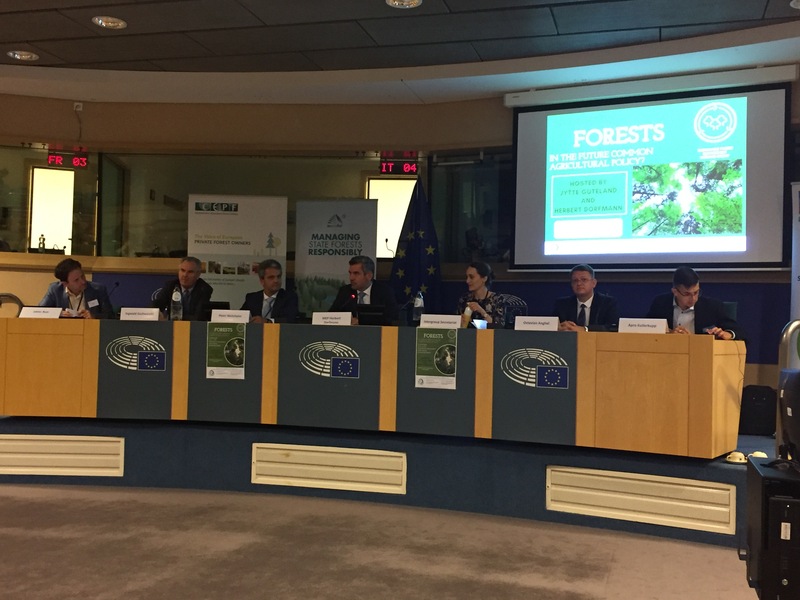 It is essential to ensure that the role of forests is well-framed in the context of assessing progresses towards the CAP’s nine specific objectives and that, consequently, forestry measures are ensured in all Member States. 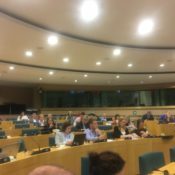 The statement follows the event“Which role for forests in the future Common Agricultural Policy?” which was held in the European Parliament on 10 July 2018. 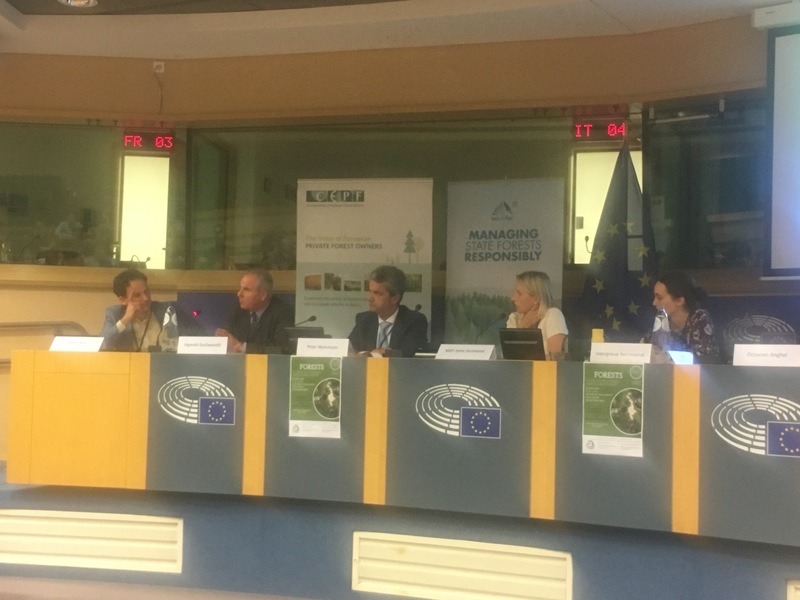 MEP Herbert Dorfmann(Italy, EPP) opened the event, highlighting the importance of the CAP in implementing the EU Forest Strategy. He expressed disappointment for the budgetary cuts which are particularly significant for the rural development fund, which is relevant for forestry. 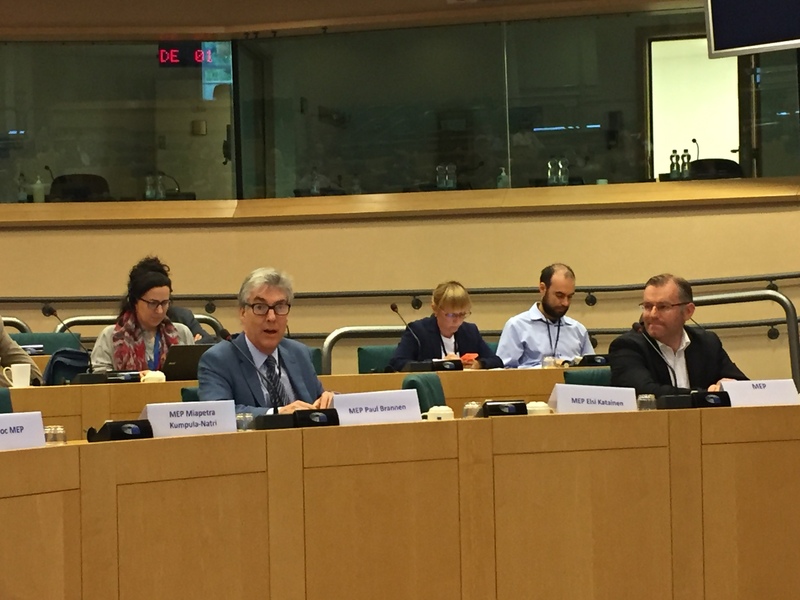 Peter Wehrheim,Member of the Cabinet of Phil Hogan, European Commissioner for Agriculture and Rural Development, presented the Commission’s proposal and objectives and highlighted that the EU Forest Strategy should serve as the basis for the CAP as regards forestry. He stressed the importance of forests for job creation in rural areas, while ensuring the delivery of ecosystem services to the society at large, and their important role towards creating a low-carbon and climate friendly economy. He also touched upon governance aspects and the subsidiarity principle for forest policies. Ingwald Gschwandtl,Director at the Ministry of Sustainability and Tourism of Austria, presented multifunctional forest management in Austria and the strong relationship between forests and people, especially in mountainous areas. He noted the importance of measures within the CAP for the development of forest infrastructures and the need to make incentives from the CAP attractive for foresters. 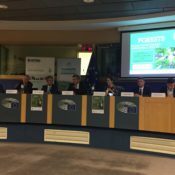 Octavian Anghel,Deputy CEO of the Romanian State Forests ROMSILVA, presented the challenges of public forest holders in Romania, and the need to strengthen forests against risks by supporting specific forestry measures. In addition, he pointed out that sustainable management of existing forests should be at least as important as afforestation. 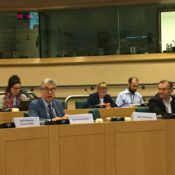 Priority should be given to the adaptation needs of European forests in order to prevent destruction from forest fires, pests, storms and other threats. 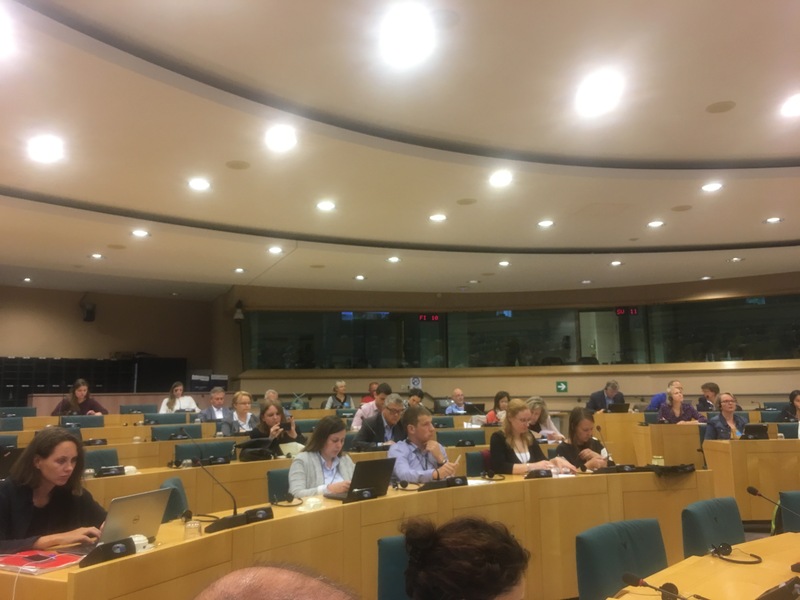 Arpo Kullerkupp,Estonian Private Forest Union, stressed that the Rural Development fund supports a wide range of forestry measures that are beneficial for the development of vibrant rural areas and the protection of the environment. The Estonian examples brought forth included compensation for Natura 2000 sites, development of forest areas and improvement of the viability of forests. Jabier Ruiz, WWF, suggested considering the possibility to allow forestry to also benefit from funding from the first pillar. In particular, he stressed the importance of forestry measures for climate action and biodiversity conservation. A broad discussion followed the presentations, which touched upon governance issues, such as the importance of a Legally Binding Agreement on forests in Europe, the roles of different actors who ensure that forestry measures will be addressed in Member States’ Strategic Plans, as well as forestry’s adaptation needs. 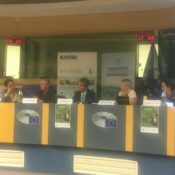 MEP Jytte Guteland(Sweden, S&D) closed the event by offering her perception that managed forests are “green gold”: Forests can be used not only for recreational purposes but also to boost the viability of rural areas, for mitigating climate change, improving biodiversity and social inclusion. 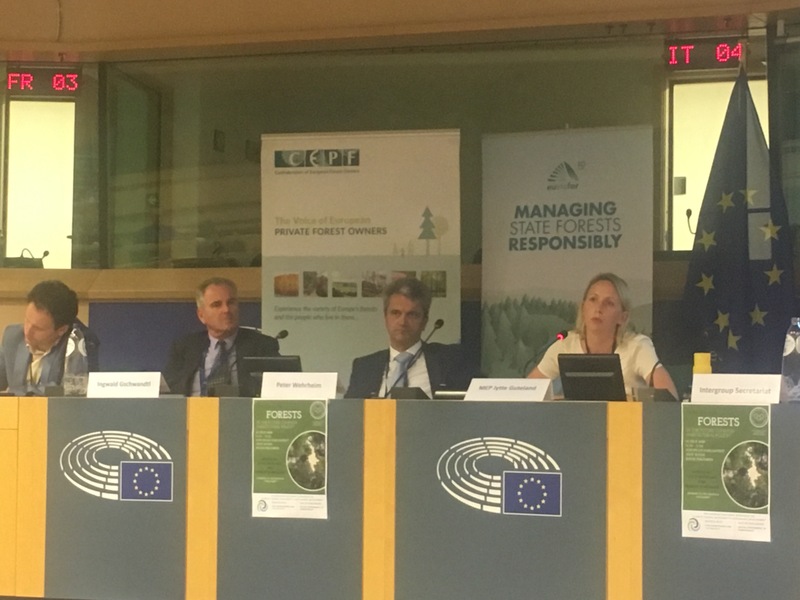 In conclusion, it is crucial that sustainable forest management stays at the very core of the CAP in each Member State in order to allow forests to contribute towards the priorities of the European Union. 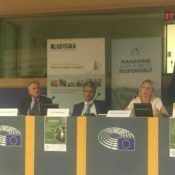 The event was hosted by Ms. Guteland and Mr. Dorfmann within the framework of the European Parliament Intergroup on Climate Change, Biodiversity and Sustainable Development, in cooperation with the Confederation of European Forest Owners (CEPF) and the European State Forest Association (EUSTAFOR).